True Hope and a Future: I'M DONE BEING "POLITICALLY CORRECT!" I've officially had it! I am sick and tired of being politically correct and tip-toeing around so no one gets offended! While I could go off in many directions with this statement (and who knows, maybe one of these days I will), today I want to discuss the poor. What prompted this rant? 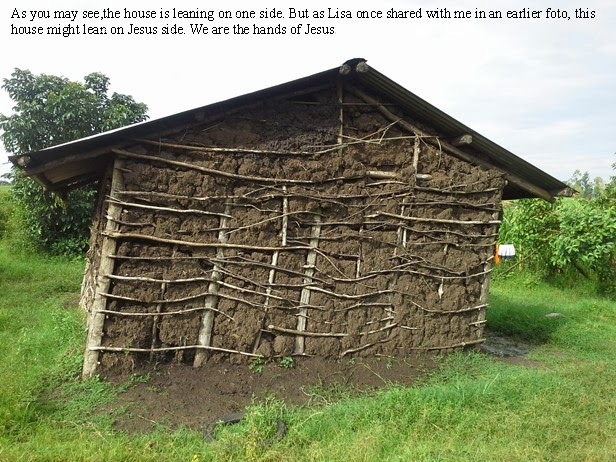 A series of conversations and events, both past and present, topped off by several email messages today from Elisha, the pastor we work with in Kenya. I'd like to begin by clarifying that it was never my plan to go to Kenya in the first place; God sent me, so I went. This at a time when, because of physical issues, I could barely make it to the mall. Nor did I choose to have a school in Kenya. Somehow we just came home with one after God sent us to Kenya for the third time. When people learn I have a school in Kenya, it is not unusual to hear someone say, "There are poor here too; why don't you help them?" There are two answers to that question. First, I do help them and second, being poor here is NOTHING like being poor in other parts of the world. Poor people in the U.S. are wealthy compared to the rest of the world. There, I said it, and I'm not taking it back! - It does not have the proper roof, probably because the family couldn't afford it. The uneven distribution of water contributed to the house shifting. - It's probably infested with insects, which also would have contributed to the instability of the house. - Because the house has not been properly sealed, the family is in danger of being attacked by poisonous snakes. In his message, Pastor Elisha said, "The rains are here. Things are pretty good. They are heavy downpour daily." After a long drought the village is finally being blessed by heavy rains, but it probably doesn't feel like a blessing for this family. It won't be long before the house looks like this. Bobo's house leaks; has huge gaping holes on the wall. Two [of their three] kids admitted with pneumonia today. A crumbling house, gaping holes, pouring rains, and two children with pneumonia. Can you imagine yourself in this position? And yet this is only the tip of the iceberg. Here is "The lady and her daughter. The husband Bobo was rushed to hospital this morning...He is a cancer victim with an amputated leg. The cancer has devastated him so much he would pass out substance through urinal track. He is poor, illiterate with 3 children. He recently became a Christian with his family [through the ministry of OpeN Christian Center]. Bobo is currently part of the OpeN family [congregation]. He got help in this year's medical camp [OpeN hosted the first-ever medical camp in 2012. Before that, many of the villagers had never had access to medical treatment.] A friend gave him good crutches; light and comfortable. I have supported him medically and with food. We gave the wife a prepared garden to plant and get food. She has tried. The last 4 weeks he has been in hospital, bedridden and in poor shape. Trying to see if we could have him access medication. Jesus will provide. Am seeing him today for prayer and encouragement. Visiting them is painful for me, but I will provide the Word needed. Pray with me for a miracle. Please pray. This lady is losing hope on ever having her husband back alive. Just shared with her and she is sad. It pains to see a man's life waste because he cannot afford food and medicines...they have had to sell most of their land to buy medicines and see a doctor. If Jesus can put $720 usd in our hands, we would help rescue Bobo and his family. Our forest [planted by OpeN for future income and construction] is going to provide wood free of charge for this man. Tomorrow I will initiate the process by felling down trees from the forest and clearing construction site. We, by the grace of God, will wipe away their tears....just for Jesus. Yes, we always do not have enough, but the little we have, we can share and save a life. Thank you, very much, friends. Through you, many people here have found a voice to thank God. God bless you and the army behind you. It makes a difference. I will say it again: Being poor in the U.S. is nothing compared to being poor in other parts of the world. And it's not because people don't work hard. Did you know there are very few lazy people in Kenya? Do you know why? They're dead. People cannot afford to be lazy because there are no government programs to rely on. If you don't work, you don't eat - period. If you don't have money, you don't get medical treatment - period. If you are poor you are poor. The only hope is to educate children so life can be different for them. And that is why OpeN Christian Center operates a school. Public education in Kenya is not free, and many children did not attend school simply because their families couldn't afford the fees. OpeN educates the children who would otherwise be unable to attend school. We currently have students from 3 years old to third grade, and add a grade every year as the students advance. Our little, middle-of-nowhere school currently has 250 students. To be honest, I have no idea where they all come from. Nor do I have any idea how this school has existed and been able to grow for the last 5 years. Our only sources of income are individual gifts and the generous people who support a student. All twenty of them. You read that right. We have 250 students and 20 of them are sponsored for $35 a month. I have no idea how we feed them all, except that it must be like the loaves and the fishes every day. If I had started this school, I would be totally stressed out trying to provide for it. But I didn't start this school; God did, and He will provide. He knew the two people He was entrusting this village to were totally unqualified, but He chose us anyway. Why? I have no idea, but now we are the voice for these people and we will do what we can. I'm asking you to do two things, right now before you forget. 1. Pray for provision for these people and for those in similar situations wherever they may live. 2. Ask God if you are to play a part in this provision and act on His answer. If you feel led to sponsor a child, be a monthly donor or give a one-time gift, please visit the OpeN Christian Center website here. All contributions are tax deductible as allowed by law and 100% of your donation goes directly to Kenya. We don't get paid for our work on behalf of the needy, nor do any of our board members. In fact, the board personally covers all overhead so that all contributions can be delivered in their entirety. These people rely on Jesus and each other because that's all they have. Shouldn't we be doing the same thing? GREAT POST! I, too, don't understand that mentality "There are poor people here". Like, helping people in Kenya means there won't be enough to help people elsewhere. I've even been lectured by people for boxing up my leftovers from restaurants and giving them to homeless people ...."That just encourages them to stay homeless." WHAT???? Wonderful post. As someone who has spent several years living in the "third world" (another politically incorrect term! ), I can attest to the fact that American Poverty is NOTHING like that in the rest of the world. What really brought it home for me one day was seeing two men who worked as "scavengers" - they made their living from re-selling trash - get into a fist fight over a used cardboard box. We just don't see that kind of poverty here. Thanks for a great post. I've never been to a mission field in a 3rd world country but.....i tell my suburban daughters ALL THE TIME that our poor (Americans) are RICH compared to most countries in the world. This is an excellent post. YAy for you opening a school!! that's awesome that you could do that!! I will pray for this family described in your friend's letter. God bless you!! So very eye opening indeed. As I read, I thought, just the fact that I am reading this post on the internet says I am rich. Seriously. Sobering thoughts here. Thank you for sharing them today. Beautifully written and very heart-wrenching. I hope you don't mind if I share this on my Facebook page to try to help spread the message to those who might be moved to help! Amen, Lisa! 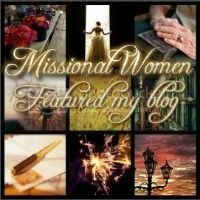 May God bless you in your ministry in Kenya and on your blog, for speaking the truth. Our church just had an amazing missions conference and revival. 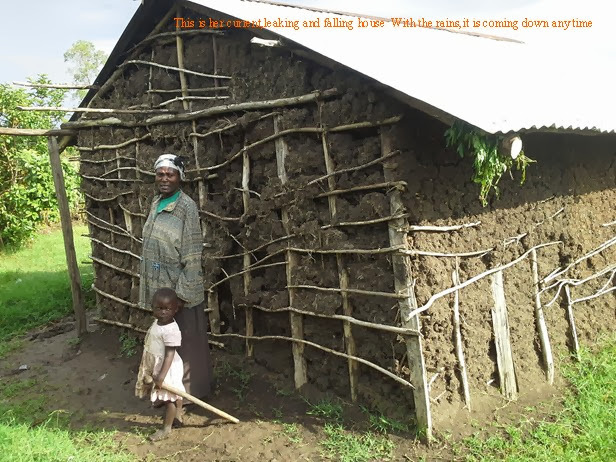 I was most blessed to hear of a missionary in Kenya who lives in a mud hut with his wife and 4 children, without plumbing, yet when asked about his needs, all he wanted was for their modest church building to be built so that God's people could be blessed. Bless you and your teachings! So glad I stopped over from the Inspire Me Monday hop -- we so often take for granted things here in the US. Can not imagine seeing a home like that here. You have a soft and wonderful heart after God and may your school and ministry be continually blessed. Thank you for pouring out your heart and for being brave enough to stand against being politically correct. Thank you for sharing with us here at "Tell Me a Story." Thank you for sharing this with us at TellHisStory. I'm so glad I stopped in today. I've been praying about sponsoring a child... it is truly on my heart. And the timing of your message is perfect as just yesterday I was wondering if I should be finding one to sponsor here in the U.S. But what you shared really spoke to me. I will be joining you in prayer and continuing to pray on sponsoring a child. Many blessings. We traveled in Cambodia this summer. In the countryside toilets are all together unknown. Although I've lived in a "developing" country for years I've never seen poverty like I did there. What a blessing you are to the people there. 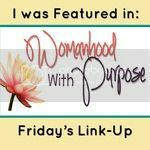 It's encouraging to see how the Lord works through his people, here, there, and everywhere, when we let him! Thank you for your kind deeds...and no sweat about the political correctness! Thanks for sharing on The Thankful HomeAcre Hop! I look forward to seeing what you share with us tomorrow! Wow! Moving post! I can feel the passion God has put in you for the work you are doing. We support children in Kenya through World Vision, but unlike you, I have never been there, never seen it first-hand. God bless your work, and God bless you!